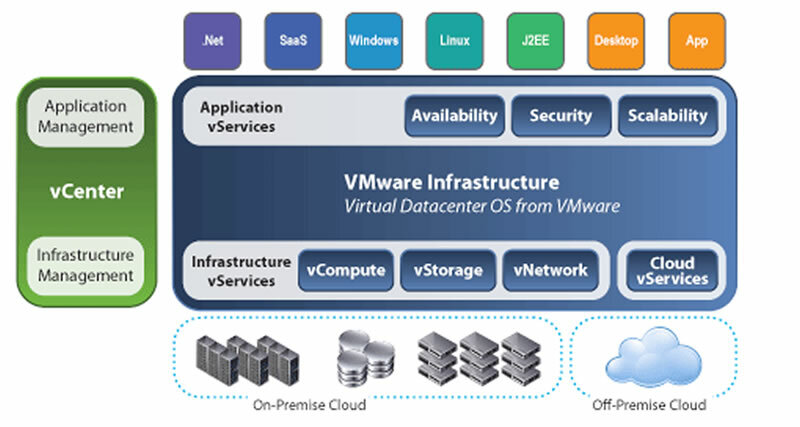 Although many organizations are gravitating toward virtualization, some are avoiding the technology and, therefore, the vision of a virtual data center. 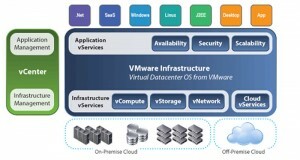 Cost and complexity are two of the obstacles that are keeping virtual data center approaches from exploding. Still others say that a lack of in-house management and skills are among the biggest challenges. 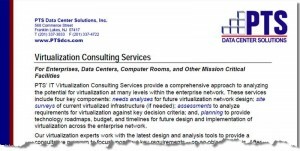 PTS focuses upon client current and future needs by completing a virtualization needs analysis, performing a storage and/or virtualization site survey, performing a complete storage virtualization assessment, and developing a comprehensive virtualization technology roadmap and plan independent of specific vendor technologies.